Do you need to find storage space in Georgia? Do you want your storage space to be secure? If the answer to these questions is yes, look no further than Bulldog Movers. We have a storage facility in the heart of Atlanta that is monitored by a system of surveillance cameras 24 hours a day, seven days a week. When you store with Bulldog, you can be sure that your possessions are safe. Vast – Our Atlanta, Georgia, storage facility is 40,000 square feet in total, and we have the ability to stack items on top of one another in wooden crates, offering plenty of storage space. Dry – All storage at Bulldog is kept off the ground to prevent damage from pools of water that may accumulate after rainstorms. Climate controlled – We keep our facility kept at room temperature at all times of the day, so you can trust that your items won’t ever be subjected to extremely hot or extremely cold temperatures. A day will come eventually that you will no longer need our Atlanta storage space, and when that day comes, Bulldog is here to move your belongings. And whether you’re moving right here in Atlanta, somewhere else in Georgia, across the country, or overseas, Bulldog will handle the job professionally for you. 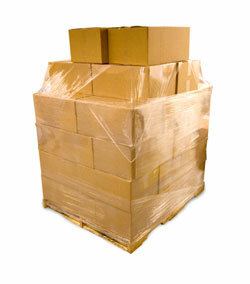 For additional information about Bulldog Movers and our North Georgia storage units, please call or e-mail us today.